Goodreads: A passionate and powerful novel based on the scandalous life of the French novelist George Sand, her famous lovers, untraditional Parisian lifestyle, and bestselling novels in Paris during the 1830s and 40s. This major departure for bestseller Berg is for readers of Nancy Horan and Elizabeth Gilbert. George Sand was a 19th century French novelist known not only for her novels but even more for her scandalous behavior. After leaving her estranged husband, Sand moved to Paris where she wrote, wore men’s clothing, smoked cigars, and had love affairs with famous men and an actress named Marie. In an era of incredible artistic talent, Sand was the most famous female writer of her time. Her lovers and friends included Frederic Chopin, Gustave Flaubert, Franz Liszt, Eugene Delacroix, Victor Hugo, Elizabeth Barrett Browning, and more. In a major departure, Elizabeth Berg has created a gorgeous novel about the life of George Sand, written in luminous prose, with exquisite insight into the heart and mind of a woman who was considered the most passionate and gifted genius of her time. Kritters Thoughts: Lots of love affairs and a little bit of writing and publishing, but nothing felt right given the time period. Set in the 1830s and 1840s in Paris, a woman who wants to be a writer and is separating from her husband just didn't work for me. I have since looked up Aurore/George Sand and know that the story is based in truth, but throughout my whole reading I just couldn't put my finger on why it didn't work for me and didn't seem at all plausible. Although George Sand becomes an interesting figure in publishing, I felt like the book didn't focus on that, but instead focused on the many love affairs and moves from home to home. At a certain point, I didn't care about all the sleeping around and wanted more dynamic action from the story. As a complete fan of historical fiction, this one completely fell flat for me. I wasn't both entertained and informed like I always want a historical fiction to do and it didn't make me want to read more on this historical figure or read more from the author. 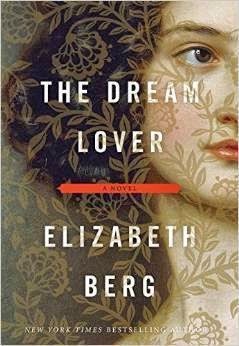 I haven't read anything else by Elizabeth Berg and I know this is her first foray into historical fiction, so I won't count her out based on this one, but I will definitely think twice before reading another historical fiction book by her.